If your house is like ours the anticipation for the Peanuts Movie is over the top. Right now it is all things Snoopy for the boys at our house. When the Snoopy Flying Ace Game came in the mail you would have thought that we won the lottery. I was so pleased that the setup was so easy. When you have kids clamoring to play the game you don't need a complicated set of steps to get ready. You literally unfold the game board and center piece and then pop on the top and you're ready to go. Our friends over at TTPM have a wonderful video that explains set up and game play. Take a look. We played both the normal paced game where you take turns turning over each card and then we also played the fast paced game where everyone turned over cards at the same time. The slower pace was great when the younger ones were playing but the fast paced version was perfect for the older kids and the adults. The only drawback for us is that it is a four person game. We now have six kiddos among us so we had to get a bit creative in our diversionary tactics. But other than that this was a big hit at our house. If you are looking for a new game for your kids for the coming holidays and cold winter nights you can't go wrong with this one. Now . . . how about a GIVEAWAY?!! 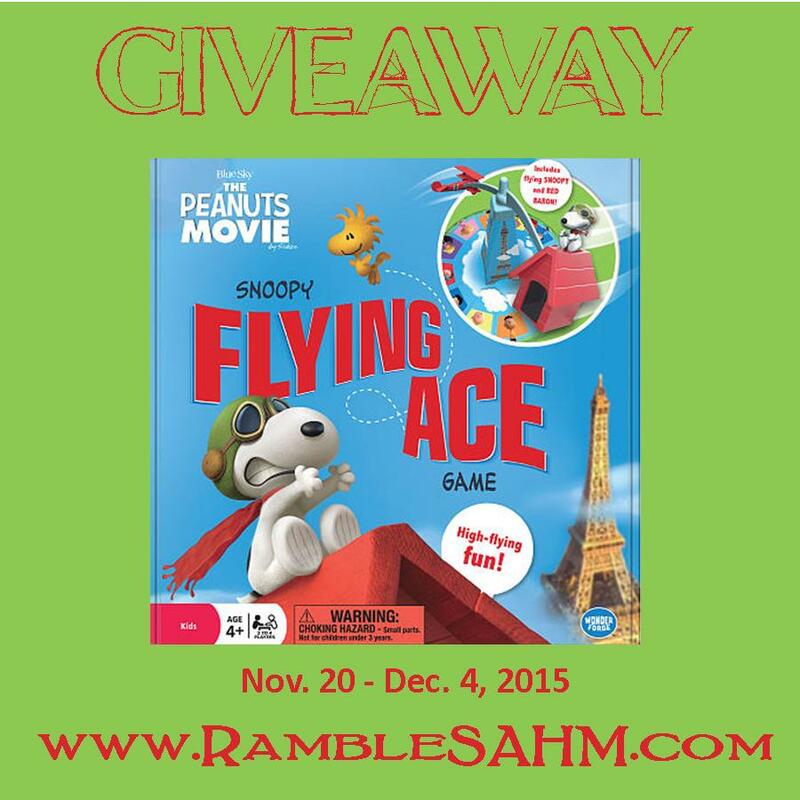 We loved the Peanuts Movie Snoopy Flying Ace Game so much that we wanted to make a way for one of our readers to get their own copy. 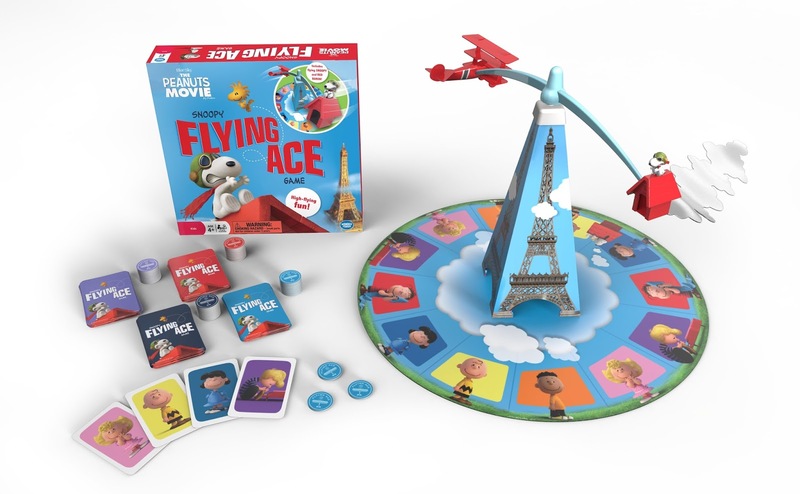 To do that we have partnered with Wonder Forge to give one of our readers a The Peanuts Movie Snoopy Flying Ace Game so they can enjoy it with their own family. The giveaway is open to U.S. residents and will run through midnight on Friday, December 4, 2015. You must be at least 18 years old to enter. The winner will be contacted by email and will have forty-eight hours to claim the prize. If unclaimed, a new winner will be drawn. The winners’ entries will be verified. Please enter the contest using the Giveaway Tools form below. All entries are optional. My favorite character is Charlie Brown! My favorite has always been Schroeder with his little piano. My favorite character is Snoopy! Charlie Brown is my favorite Peanuts character.